Themed cupcakes the kids will love even more because they get to take part in decorating and EATING them. Plus they get to learn and practice their colors and counting. With older kids have them use their multiplication or division skills while they decorate too. The kids loved making these on Presidents Day while school was out. It was super easy and festive. 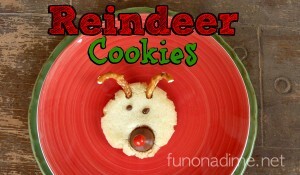 It makes for a yummy treat as well for family night or FHE. 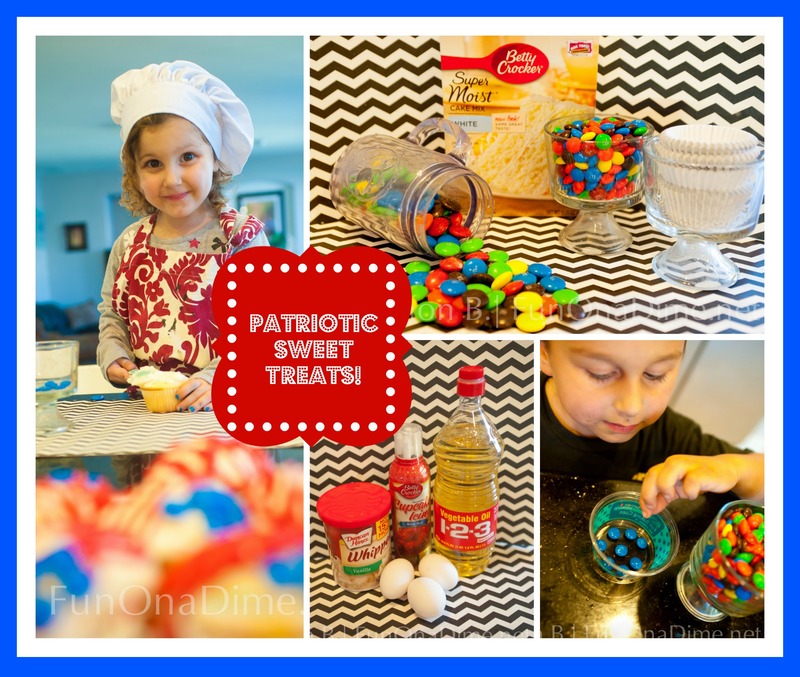 These can be used on Memorial Day or for the Fourth of July too. 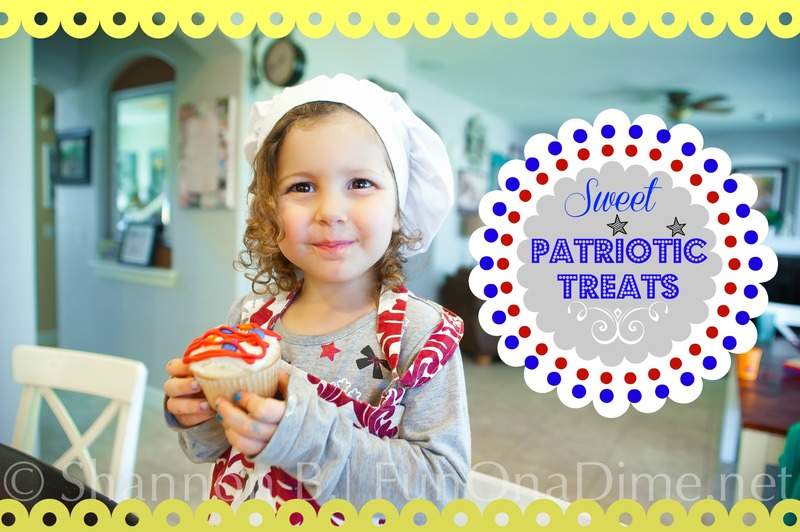 You can use these for Memorial Day, Veteran’s Day or any other patriotic event or holiday. I love celebrating little holidays throughout the year even if its something simple like cupcakes. Talk about the importance of WHY we have holidays to my kids makes it more fun when you have something fun & simple to do, especially while they are off from school. You get to spend time, they get to have a yummy treat and they are getting in some extra credit with some math skills too. Win Win! Here’s another fun patriotic craft – tie-dye shirts.